What’s it going to take for consumers to get on board? Joanie would be hard-pressed to open an automotive industry publication these days and not be inundated by articles detailing new possibilities of bringing autonomous and electrified vehicles to market. Indeed, manufacturers, suppliers, and tech companies are investing enormous amounts of money to make these technologies a reality. There are several reasons behind this R&D push: Autonomous vehicles have the potential to dramatically improve road safety by reducing driver error; and electric vehicles (EVs) can reduce the negative environmental impact caused by burning fossil fuels for transportation. Although these are undeniably positive goals, achieving them may be more difficult than we think. In fact, the current pace of investment in advanced vehicle technologies can be described as a game of high-stakes poker where the players are all in, and the outcome is largely undetermined, though unlikely to favor everyone at the table. In an industry where it has become increasingly difficult to differentiate between vehicles or brands, leading-edge technologies such as autonomous driving and electrification represent a huge opportunity to fundamentally change a hypercompetitive playing field that has been maturing over the last 100 years. Most analysts will agree that electrified, autonomous vehicles will be part of our lives at some point in the future, but there are many different opinions regarding how long it will take for that to happen on a large scale. Optimists believe we are sitting on the edge of a revolution that is ready to play out in the next several years. On the other hand, a more conservative view tempers this enthusiasm by taking into account several headwinds that, when combined, especially threaten traditional automakers. On the surface, these investments seem well founded. Recent findings from the 2018 Deloitte global automotive consumer study suggest that consumers may be warming to the concept of fully self-driving vehicles: 47 percent of US consumers in this year’s study feel that autonomous cars will not be safe, which is down significantly from last year’s 74 percent. The same can be said for every country covered in the study (figure 1), for example, South Korea (54 percent this year felt self-driving vehicles will not be safe vs. 81 percent last year); Germany (45 percent this year vs. 72 percent last year); and France (37 percent vs. 65 percent).3 However, even though the survey results suggest a positive directional trend for autonomous vehicles, it still leaves almost half of consumers in most markets doubting the safety of this technology. While we fully expect consumers’ acceptance of autonomous vehicle technology to grow more favorable with real-world positive experiences, how this new technology can effectively be monetized should be a concern for company boards and senior executives searching for signs that these investment decisions will yield significant returns down the road. The results for electric vehicles are similar, where 42 percent of German consumers and just over one-third of consumers in both Japan and the United States indicate they are unwilling to incur any additional costs for access to alternative powertrain technology.6 This all strongly implies that something more fundamental—the very core of today’s business-to-consumer business models—will need to change in order to capture a reasonable return on investment in these technologies. Shifting market fundamentals, as outlined below, only further reinforce this point. Several markets around the world have been posting record levels of vehicle demand in the last few years as the recovery from the global recession has played out—but this demand differs from region to region. While year-over-year performance in the United States has been quite robust, with the market still hovering near record levels, growth has now tapered off, leading many industry watchers to wonder how much is left in the tank. European demand found a tentative foothold in the last couple of years, but economic concerns around Brexit are casting a long shadow over growth expectations for the region. Even China is looking at muted demand expectations going forward, after riding a huge wave of middle-class expansion for several years. In fact, global demand for light vehicles is starting to stall. Recent forecasts expect annual growth to be limited to between 1.5 and 2.5 percent going forward into the middle of the next decade.7 At the forefront of these concerns is the United States, where most analysts are predicting a cyclical downturn. A significant uptick in the level of incentives, averaging $3,472 per vehicle in October 2017, suggests that the market is already being artificially propped up.8 While the industry has put the economic meltdown of 2009–2010 behind it, the still massive fixed costs of mass-market incumbents could potentially make them as sensitive to volume fluctuations—especially downturns—as they were a decade ago. Given these tightening global market conditions, many automakers may need to prioritize operational investments, making it more difficult to justify large capital allocations in a time of uncertainty. This scenario could also destabilize many of the strategic partnerships that are developing between traditional manufacturers and the suppliers shouldering a significant amount of the overall investment in these technologies. Global vehicle demand may also go through significant change as transportation-on-demand service models gain greater traction. For example, even in a traditionally car-loving country like the United States, 23 percent of consumers from our study said they used ride-hailing or ridesharing services at least once a week, and a further 22 percent said they use these services once in a while.9 Most interestingly, 52 percent of this combined user group said they are actively questioning whether they need to own a vehicle going forward.10 In India, the situation is even more pronounced, where 85 percent of consumers indicated they have used a shared mobility service, and 61 percent of those users questioned the need to own a vehicle.11 Such statistics point toward a growing trend of mass urbanization happening in many countries and a potential future where personal vehicle ownership is drastically reduced in favor of shared mobility fleets—a significantly different global market reality to which traditional manufacturers, suppliers, and other stakeholders may find it difficult to adjust. Having said that, strategies regarding the next stage of growth for ridesharing fleets being developed by both traditional automotive manufacturers and industry disruptors are becoming increasingly intertwined with the adoption of autonomous technology.12 But in select markets around the world, ridesharing services have encountered regulatory headwinds. While we expect these regulatory setbacks to be mere speed bumps challenging the growth of this new form of transportation, the uncertainty of the regulatory environment should be a concern if the large capital investments in autonomous technology are predicated on scaling it through the shared mobility model. In this regard, disruptors have a distinct advantage, as their typical capital- and asset-light business models are not burdened by the significant existing asset base and broader set of capital requirements of traditional automakers. As a result, consumers may be increasingly hesitant to commit to vehicles equipped with autonomous or electric powertrain features, as these vehicles typically command a significant price premium compared with more traditional vehicles. Ironically, it is this affordability issue that may prompt consumers to rethink vehicle ownership altogether, opting for the much lower, usage-based cost model that shared transportation represents. At the very least, it may prompt consumers to look at acquiring a used vehicle. With record numbers of off-lease vehicles becoming available over the next few years, prices of used vehicles should moderate, encouraging a substantial number of consumers to effectively prolong the use of “conventional” vehicles. To date, US consumers have been enticed into buying electrified vehicles through the use of heavy government incentives, which can range up to $7,500, depending on the model.17 However, even with these federal tax credits in place, the US electric vehicle market has struggled to gain a foothold, accounting for only a small portion of annual vehicle sales. Policy makers in a variety of global jurisdictions are aggressively promoting the next generation of urban environment that includes a clean, connected, efficient, and safe transportation system. In fact, countries, such as Norway, Britain, France, and the Netherlands have already announced that they plan to ban the sale of vehicles that run on conventional gas and diesel engines over the next two to three decades. China is also studying a timeline to move away from traditional gas- and diesel-engine vehicles, in large part due to government desire to both stem harmful emissions that are choking major cities as well as significantly reduce the country’s reliance on imported oil.18 India also aims to have an all-electric vehicle fleet by 2030, prompting automakers such as Hyundai and Suzuki to announce aggressive plans to introduce a range of electric vehicles in the Indian market.19 The combination of all these government announcements make the drive to electrification seem inevitable in most markets, but autonomous cars have yet to be given a clear regulatory mandate that companies can use to justify their massive capital investments. However, for the time being, consumers remain wary of electric vehicles as the technology races to keep up with unrelenting expectations. The main reason Chinese and German consumers are keeping their distance from BEVs is anxiety over how far they can drive on a single battery charge. Similarly, consumers in both India and South Korea are the most concerned about a lack of vehicle-charging infrastructure in their respective countries. Interestingly, consumers in China are the most positive about self-driving vehicles, with the percentage of people who think autonomous cars will not be safe plunging from 62 percent last year to only 26 percent in this year’s study. One of the reasons for this difference could be that Chinese consumers recognize their country ranks among the highest in the world for annual road fatalities.23 Younger consumers in several global markets also seem more likely to embrace autonomous technology, with 70 percent of the Generation Y/Z population cohort in the United States saying they would be more likely to use a self-drive vehicle if it were produced by a trusted brand. This compares with 62 percent of Generation X and 56 percent of Boomer/Pre-Boomer consumers. That said, even though brand trust is becoming more important, the type of company consumers would most trust to bring fully self-driving technology to market has not changed over last year (figure 3). Consumers in Japan, Germany, and the United States still favor traditional vehicle manufacturers; this is in contrast to consumers in South Korea, India, and China, who would most favor new autonomous vehicle manufacturers or existing technology companies.24 One of the reasons for this difference could be tied to the relative strength of automotive brands in more mature markets. Another way to make consumers feel more comfortable about new technologies such as autonomous vehicles is to prove that the technology can be used safely and reliably in real-world conditions. Whether it’s a serious accident linked to the use of autonomous drive features, or a relatively minor fender-bender involving a fully self-driving shuttle in Las Vegas,25 the result is similar: consumers who seriously question the readiness of the technology. For example, 71 percent of US consumers said they would be more likely to ride in an autonomous vehicle if it had an established safety record (up from 68 percent last year). It is a similar story in South Korea (83 percent vs. 70 percent), and Germany (63 percent vs. 47 percent).26 In response, several companies, including some of the largest tech companies in the world, have been testing autonomous technology for many years with relatively few issues, but it only takes one negative incident to destroy much of the goodwill, faith, and interest built up around these long-term R&D experiments. In addition, the price premium for a battery-powered vehicle should come down as battery production increases. In fact, battery prices have dropped by nearly 50 percent since 2013, from $599 per kilowatt hour to $273 per kilowatt hour in 2016. Prices will likely fall even further, potentially hitting $100 per kilowatt hour by 2026,27 making BEVs more price-competitive with traditional vehicles and, ultimately, a more attractive option to consumers. However, these projections are based on using lithium-ion batteries, which run the risk of igniting if punctured during an accident. New developments in battery technology such as the use of solid-state materials promise to improve the overall safety of batteries used in BEVs, but they are also likely to cost more, at least in the near term. Finally, with an increasing number of connected vehicles in operation, consumers also express fear that their vehicle could be compromised by a hacker with malicious intent. In a recent poll conducted by the American International Group, nearly 75 percent of respondents listed vehicle hacking as an issue of concern.28 As a result, our survey shows that 54 percent of US consumers would feel better about riding in self-driving cars if governments would implement standards and regulations to help ensure manufacturers are taking cybersecurity issues as seriously as possible. Considering the headwinds of slowing demand and cooling global conditions that threaten to derail several key automotive markets around the world, it is unlikely that OEMs, suppliers, and technology companies will be able to sustain the frantic pace of capital allocations currently flowing into autonomous drive and electric powertrain development. Even companies that are actively looking for ways to maintain a level of focused investment through market rationalization, brand divestitures, or operational cost cutting are likely to find it difficult. In fact, some companies may quickly find themselves struggling with more immediate operational issues that take precedence over long-term technology investment strategies. At the end of the day, it can be argued that the investment process required to bring fully autonomous and electrified vehicle technology into the mainstream is not yet mature enough. Driverless cars are still very much in an experimental stage, and new developments such as solid-state batteries designed to improve the performance and safety of BEVs remain just out of reach. The further out the investment window goes, the harder it will be for most players to justify and maintain their spending on development. For this reason alone, it is likely that companies will have to make some hard choices in terms of which technology investment bets they are able and willing to make. The difficulty these companies face is compounded by their need to make significant investments in a host of other areas, including mobility services, advanced materials, connectivity, and the digital transformation of the customer experience. In short, the cumulative demand for capital investment in the automotive sector is nothing short of astonishing, and while global consumer interest in advanced technologies is somewhat encouraging, their appetite to pay for any of it is very limited. New business models will be necessary to capture a return. Consider that dozens of companies are engaged in a gold rush to develop and own the predominant autonomous vehicle platform. Not everyone investing in this technology is going to win. And consumers are only willing to pay for certain technologies using current “sell-to-consumer” business models. At a minimum, autonomous technology investments will require new business models to monetize investments. This, in turn, may further open the door for disruptors to capitalize on your investment. If a comprehensive business model solution is needed to generate an appropriate return on the technology investment, be prepared for the Herculean challenge of creating new successful business models. As advanced and complicated as it is, the technology is actually the easy part. Keep a watchful eye on regulators and policymakers. Sooner or later standards will be imposed on all of this new technology. History suggests the fragmented nature of regulation across markets will play out here as well. Standards represent both an opportunity to moderate technology development and investment toward clearer targets, as well as a threat to undermine any competitive advantage for first movers. Early, active, and consistent involvement with regulators in tandem with ecosystem partners is essential to best inform investment decisions and market plans. Environmental policy pressure around the world is likely to grow, suggesting EV and similar alternative powertrain technologies are perhaps a safer bet, while the opportunities and challenges for autonomous technology are more varied and may need a different mind-set to calibrate the timing and level of investments. Don’t lose sight of the present while chasing the future. Finally, there are more than 325 million vehicles in operation in North America, with a further 390 million in Europe, and 165 million in China alone.29 Given the sheer size of the global vehicle parc, or total vehicle population, and the fact that each one now lasts for 10–15 years or more, the kind of transformational change that comes with autonomous driving and electric powertrains will likely take several decades to reach a tipping point in an industry that has been maturing for well over a century. Players that forget this reality in the frenzy of making big bets on the future may not survive long enough to see that future eventually unfold. 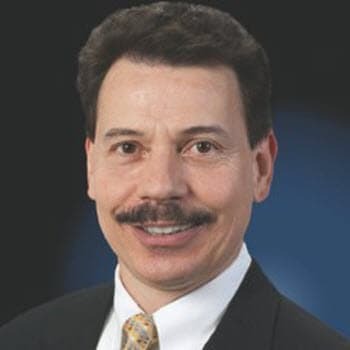 Craig A. Giffi, based in Cleveland, is vice chairman and national automotive industry leader for Deloitte USA, and the managing principal of Deloitte Insights. 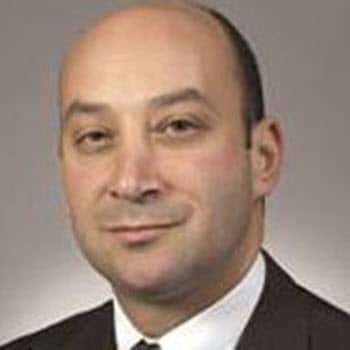 Joseph Vitale Jr., based in Detroit, is a principal with Deloitte Consulting LLP and leader of Deloitte’s global automotive industry practice. 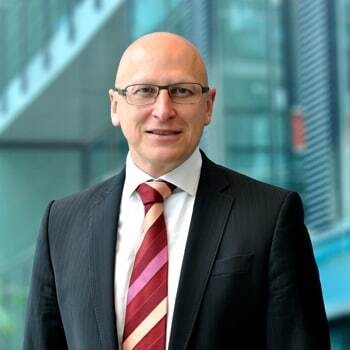 Thomas Schiller, based in Munich, is a partner and automotive practice lead with Deloitte Deutschland and leads Deloitte’s global automotive consulting practice. Ryan Robinson is the automotive research leader with Deloitte’s Center for Industry Insight. He is based in Toronto, Canada. We would like to thank the tremendous team that helped with the development of this research and report, including Srinivasa Reddy Tummalapalli, assistant manager, and Ankit Mittal, senior analyst, from Deloitte Support Services India Pvt. Ltd. We would also like to acknowledge the continued support of the following people: Srinivasarao Oguri, Vaibhav Khobragade, Sanket Surve, and Kruttika Dwivedi from Deloitte Support Services India Pvt. Ltd.
A reality check on advanced vehicle technologies has been added to your bookmarks. A reality check on advanced vehicle technologies has been removed from your bookmarks.